Lily Aldridge and Caleb Followill Welcome Second Child, a Baby Boy! 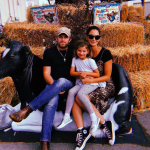 Congratulations to Victoria’s Secret model Lily Aldridge and her husband, Kings of Leon musician Caleb Followill — the couple recently welcomed their second child together, a baby boy! Congratulations to Victoria’s Secret model Lily Aldridge — she’s pregnant with her second child! 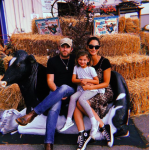 Lily and her husband, Kings of Leon singer Caleb Followill, announced the happy news today, with Lily posing for a bikini selfie in an Instagram pic.